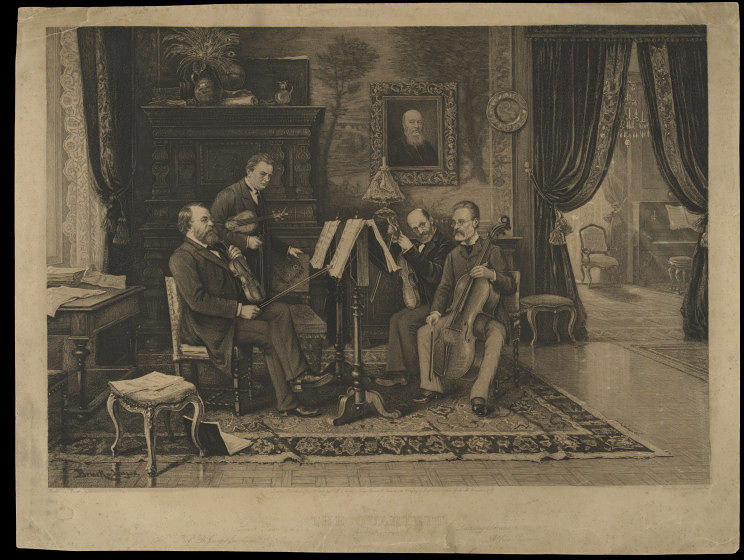 Portrait of Louis Ries, Professor Dr. Joseph Joachim, Ludwig Straus and Alfred Piatti, The Quartett at a rehearsal. Published in London by L. H. Lefèvre. 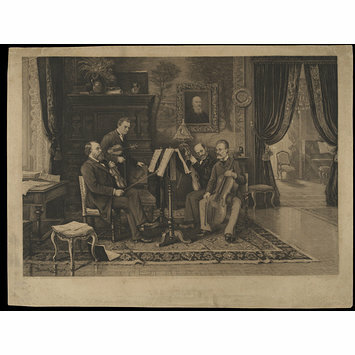 Etched portrait of Louis Ries, Professor Dr. Joseph Joachim, Ludwig Straus and Alfred Piatti. 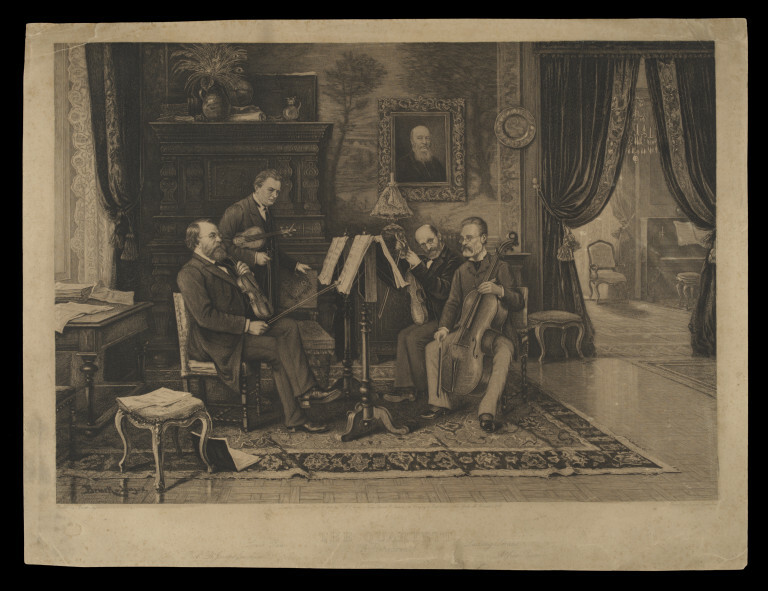 Portrait of Louis Ries, Professor Dr. Joseph Joachim, Ludwig Straus and Alfred Piatti, The Quartett at a rehearsal. Published in London by L. H. Lefèvre on 8th November 1888, Harry Beard Collection.